"She is better than me"
"I'm about to lose it"
"I can't get over it"
"I feel out of control"
Are thoughts like these familiar to you? Join Female Head Talk Expert Bree Stedman as she goes deeper than the fluff of 'just be positive' and sheds light on how to identify and address the core of your sabotaging and destructive self talk by aligning with your Female Factor. Yes ladies, it's time that you get a grip on the stories that keep you awake at 3am, that you learn what you need to from the events that happen in life and then move on, with a greater sense of Emotional Control in every situation. The truth is, as a woman, 'getting over it' isn't as simple as it is made out to be. You're more hormonal. You're far more emotional. Your brain sees things very differently. As such, a different approach is needed. An approach that cuts through the BS and offers a solution. In the latest addition to the Own Your BS Movement, Bree will explore all of this and more in Own Your BS: The Podcast. Passionate about helping women to get out of the stories that consume and distract women from their best life, Bree is committed to changing the way negative self-talk is addressed. And not just for women as individuals, but for the people they also influence indirectly because of their negative self-talk - their children, their family and friends. For 14 years Bree has been a believer that the more Emotional Confident and in-control a woman feels (and thinks! ), the more of an impact she'll be able to have on the world around her - and that is what she will share with you on Own Your BS: The Podcast. Want to have Own Your BS with you in a more traditional, tangible format? 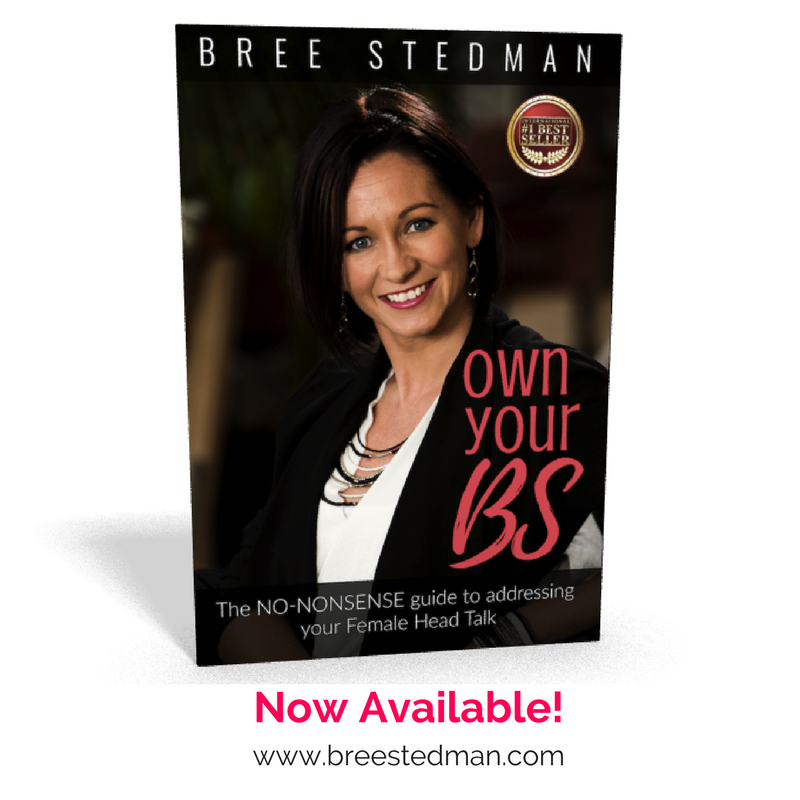 Bree's #1 International Best Selling book, Own Your BS: The No-Nonsense Guide to addressing your Female Head Talk is available for purchase by clicking here. Complete with Downloadable Templates for you to put what you learn straight into action, Own Your BS is a practical self-help book with a difference. In preparation for this podcast I started to explore all the areas that Judgement shows up in life.... the way I see it, there are 3 streams - Fearing being judged, Being judged and Judging others. It's safe to say that the majority of women can identify with guilt. And after years of helping women to let go of this most crippling and UNNECESSARY feeling, I've come to the conclusion that the head talk the drives guilt lives on a timeline. Is it the right time? Should I get someone else's opinion? Maybe I should wait until a better time.... next year is a good time. I'll do it then.